Alpacas are fiber-producing members of the camelid family that are raised exclusively for their soft and luxurious wool. Other camelids include the domesticated llama, and the wild guanacos and vicunas from South America. It is believed that alpacas were created about 6,000 years ago through selective breeding that was heavily influenced by the wild vicuna. The two have similarities in size, fiber and teeth. Alpacas are inquisitive, highly intelligent animals. They have a serenity about them that is hard to describe, but their calm, gentle nature has an effect on everyone they meet. They‘re very social animals who need the company of other camelids. When curious or frightened, they huddle together and move as a group to see what’s going on. Alpacas express themselves in many ways–through humming or other vocalizations and with body language, such as neck posturing, ears turned back and tail positioning. It’s easy to “read” an alpaca. They have excellent eyesight and hearing and they’re capable of alerting the herd and their human caretakers with a loud alarm call. 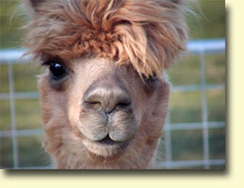 Alpacas rarely spit at people unless frightened. It’s much more common for humans to get caught in the crossfire during a dispute between two alpacas having a spitting match. 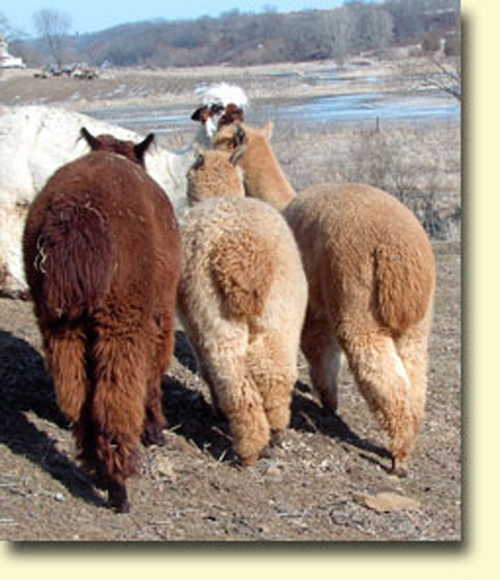 Alpacas are hardy and generally disease resistant. They need basic care that includes annual vaccinations, worming and regular dental and toenail care. Their fleece is harvested during annual shearing, typically in the late spring/early summer. 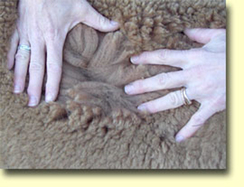 This also helps prevent heat stress, which is often a health concern for alpacas living in hot, humid climates. Females can be bred back as early as two weeks after birth although the optimum time appears to be 21 days. They typically start breeding between 18 and 24 months of age.